Liz Broscoe, accomplished performer and educator, specializes in bringing together diverse groups through rhythm with team building workshops and classes. 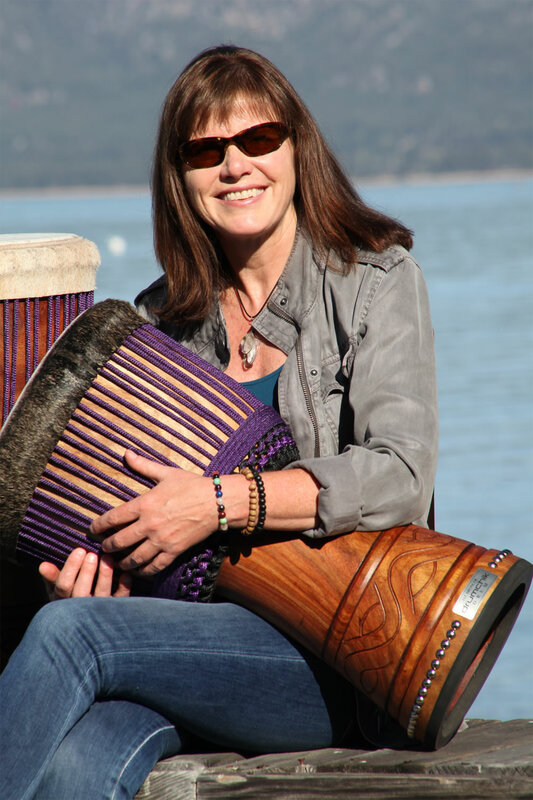 My name is Liz Broscoe, aka “Drumchik,” and drumming is what I love to do. By bringing my skills and passion for drumming to your team building, empowerment or special event, I’m able to deliver purposeful creative experiences personalized to each group. It is proven that focused facilitative drumming energizes participants, delivers a host of wellness benefits plus it’s fun, stimulating and all-inclusive. I invite you to check out the variety of ways I offer drumming and to consider the possibility of a unique and powerful rhythmic experience designed specifically for your group. This unique and creative drumming workshop focuses on the value and importance of relationships in the workplace. It is proven that healthy relationships among team members are a contributing factor to improving performance. Ultimately, this workshop will help build a healthy unified team inspiring innovation and stimulating creativity. Drumming is a rare “Whole Brain” activity that encourages creativity by activating both sides of the brain simultaneously. “Drumming Forward – One Beat at a Time” is a youth empowerment drumming program designed to encourage personal growth through self-reflection and relationship building. I developed the “Drumming Forward” program by combining my own personal and career experiences with other youth empowerment programs I am familiar with or hold certifications through such as; the “DRUMBEAT” and “Rhythm 2 Recovery” programs, the “Moral Reconation Therapy” program, and mindfulness approaches. Dea Drum & Dance Group has delighted audiences with their infectious grooves and powerful dances for more than a decade. Under the creative direction of Liz Broscoe, this high energy ensemble delivers historical and cultural awareness of West African rhythms. Current research shows that focused specialized group drumming provides many health, wellness and therapeutic benefits. Experiencing steady, rhythmic drumming improves cognitive brain function, increases cancer fighting white blood cells in the immune system, decreases stress, blood pressure and pain while producing feelings of well-being by doubling alpha brain activity. Alpha brain waves produce feelings of euphoria. Drumming has been my life’s work for over three decades. At this stage in my career, I feel it’s less “about me” and more about sharing my talents, passion, experience and knowledge with others. My rhythmic journey continues to be exciting, rewarding, challenging, creative and incredibly diverse. I am a facilitator of drum circles for classes, team building, empowerment and university workshops, wellness retreats and special events. My mission is to encourage and inspire others, through drumming, to be their very best. It’s easy, drumming always brings out the very best within us! “Liz is an amazing, energetic and extremely talented artist. Her programs offer education, exciting entertainment and remarkable diversity for all ages”.